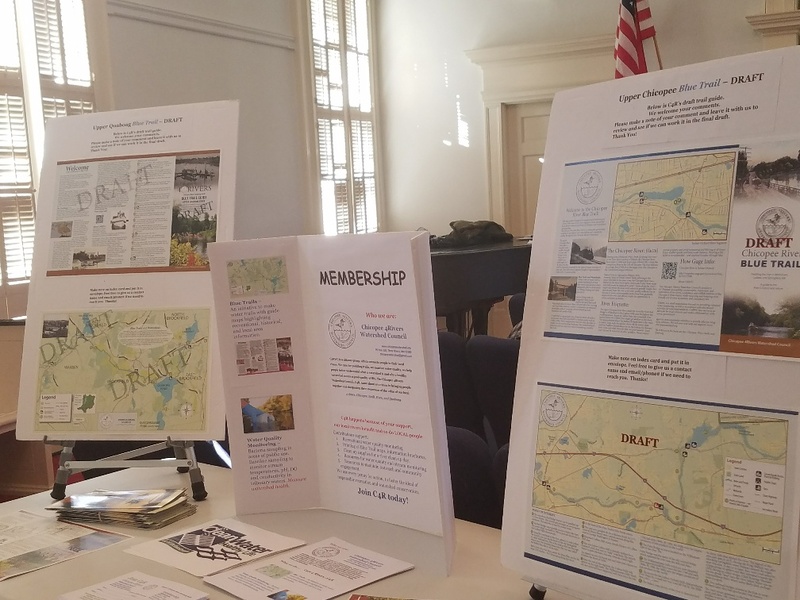 The C4R team reported on our 2017 efforts which included our bacteria sampling, storm water study, Blue Trail work, DCR Grant, outreach, and laid out a vision to grow membership, an expanded trail network, and education. 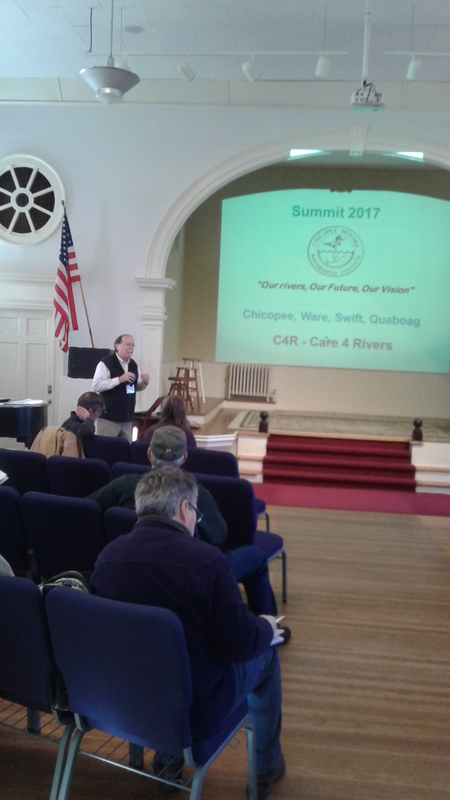 Andy Fisk from the CRC, Connecticut River Conservancy, shared where C4R contributes and can add to citizen science to care 4 our rivers. C4R can help with nutrient studies, mussel restoration, and more! Kristen Sykes from AMC talked about how paddling trails are a great way for people to know a river, particularly the CT River Paddlers trail. 2017 was another step forward for C4R, join us as we continue forward. Previous Previous post: C4R receives DCR Trails Grant! Next Next post: Thanks to all for 2017!